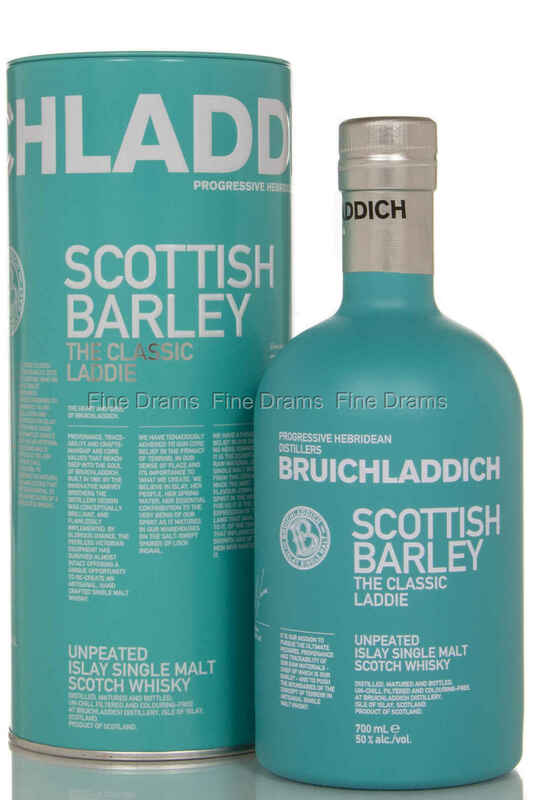 Made entirely from Scottish grown barley, to showcase the classic un-peated Bruichladdich style. Hand crafted by Jim McEwan, only using classic American Oak casks for the full maturation in the warehouse alongside the Loch Indaal. Bottled non-chill-filtered with no colour added, this is officially the new signature bottling of the Bruichladdich distillery. Nose: A lot of pastry up front, with some stone fruit- pineapple, and peach. Extremely rich caramel and malt, some very very faint smoke and heather honey. Slight milky note. Palate: Apple pie. Tinned peaches. Malted vanilla milkshake. Heather honey- with typical Bruichladdich honey suckle flower. Light oak coming through, with a little medium spice. Finish: Long, woody with flowers and bread. Overall: Really nice well rounded whisky, with amazing unique flavours- particularly the delicate flowers and vanilla. A perfect unpeated Islay whisky.